1. 3 x 3/4″ dowel rods. A cut down broom or mop handle works well too. These will be your near and far loom bars and roll up stick. 2. Thin dowels. 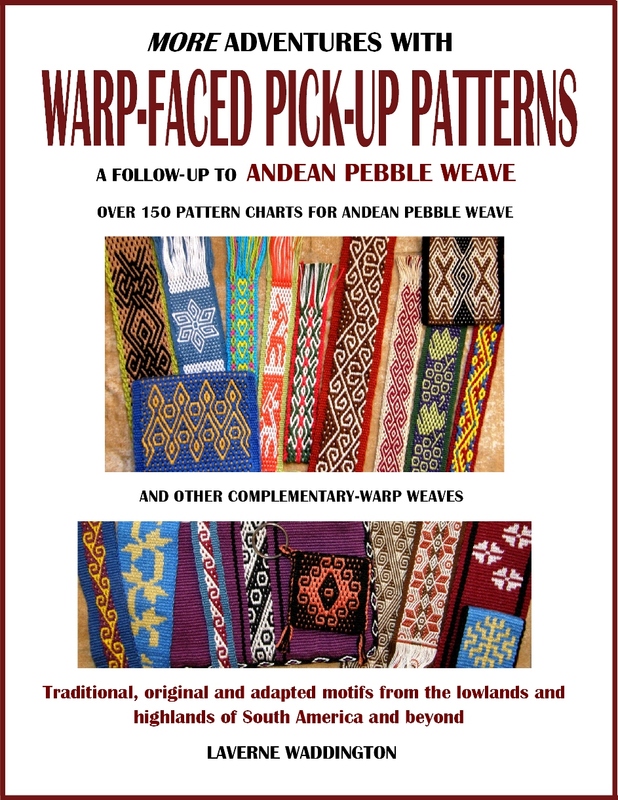 Their length will depend on the width of your warp. You generally need at least 3. Two will be cross sticks. One of these can then be used as a heddle stick. A thicker dowel makes a good shed rod and one thin dowel can be used as the stabilizing rod. Depending on the technique you are weaving, a thin dowel is sometimes required to save picked up warps. 3. A sword for propping open the shed so you can pass the weft. This can also be used as a beater. A flat stick approximately 2″ wide and beveled along one edge works well. One end should be rounded so it will enter the shed more easily. A few of these of different lengths will serve various widths of warp. For narrow bands small belt shuttles work well. 4. A shuttle. 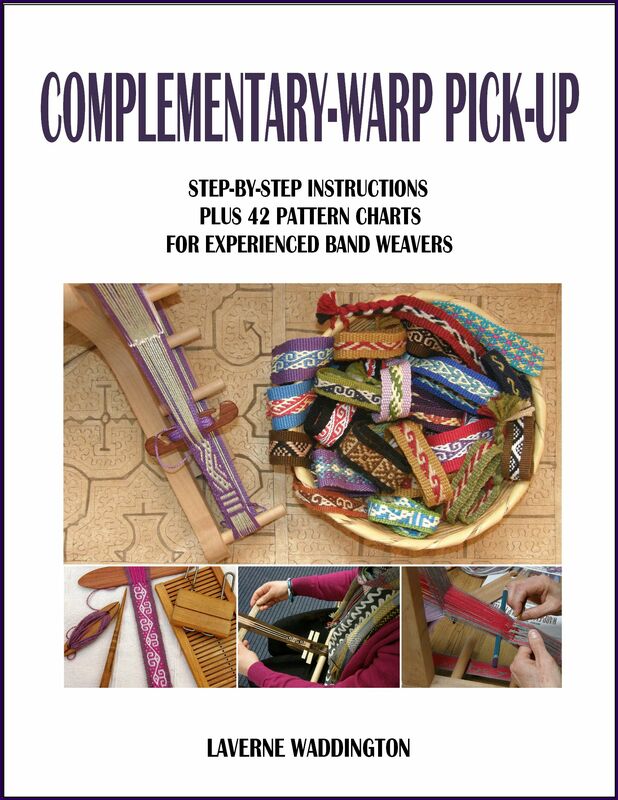 For narrow bands you can simply wind a butterfly or use an inkle loom belt shuttle. 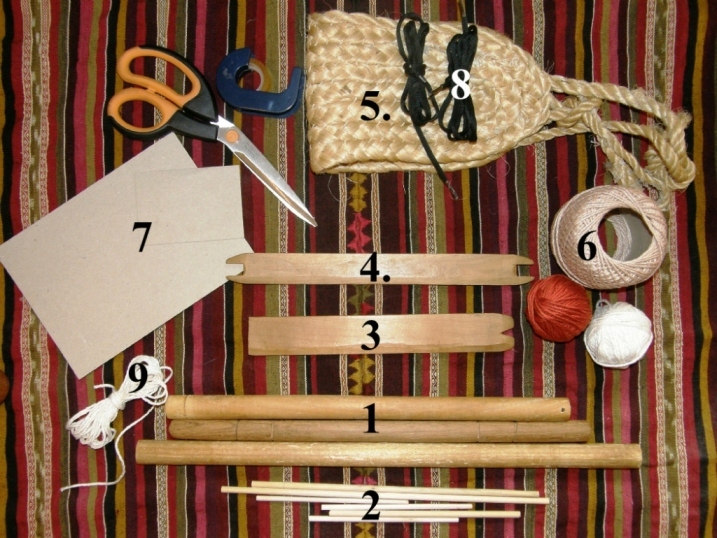 Weft can also be simply wound around a dowel. Shuttles can be cut from sturdy cardboard. 5. A backstrap. 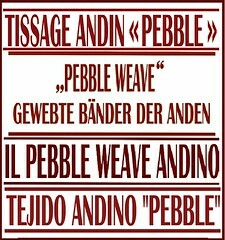 Weave your own! While doing so, use a pillow slip or hand towel with cord tied to the ends. 6. Yarn. Preferably mercerized crochet cotton for beginner projects. More about this on another FAQ page. 7. Pieces of cardboard. If you want a fringed end to your woven piece you can insert a piece of cardboard the length of your desired fringe in the first shed of your weaving which will give you a firm base against which to beat and start weaving. 8. Cord to tie the far loom bar to a fixed point. Non stretchy shoelaces work well. 9. Heddle string. I usually use the same yarn as my warp. Some people prefer to use nylon as it is less abrasive on the warp. If you wish to have a smooth start to your woven piece rather than a fringe you can create a third selvedge by putting a steel needle in the warp ends and lashing that to your loom bar. For fine yarn like number 10 crochet cotton I use the finest steel knitting pins (1.25mm). 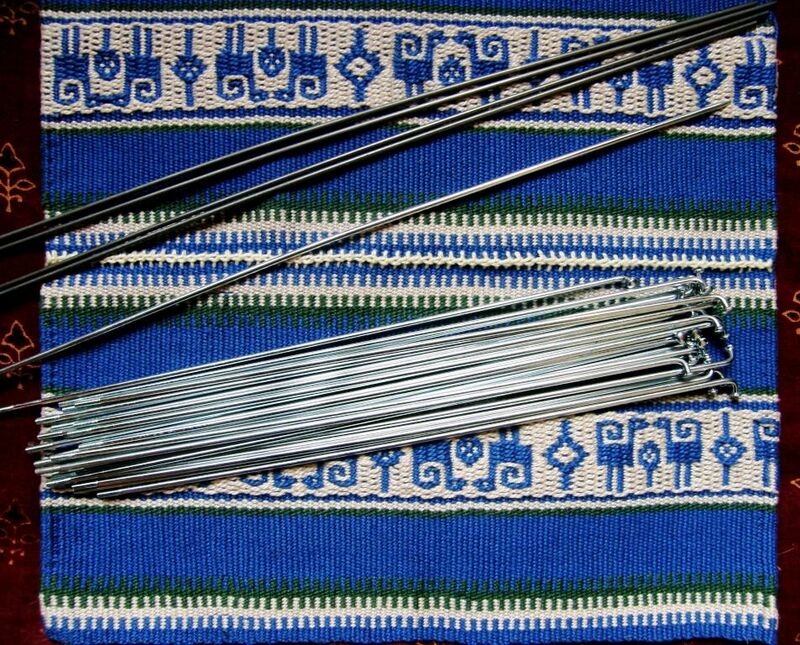 For number 3 crochet cotton I use piano wire or bicycle spokes (pictured above). 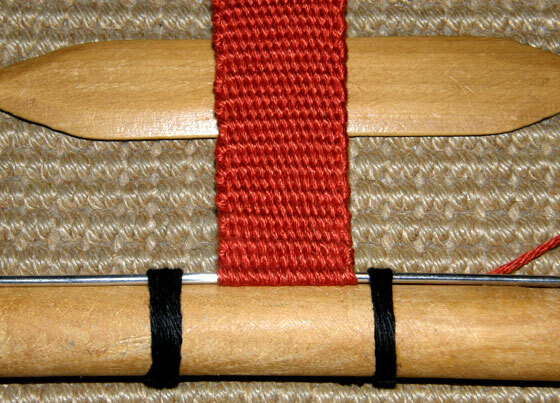 For narrow warps a tapestry needle works well or even a very large safety pin. Just saw an ad in my local paper for a twining class. I had never heard of it so I just had to look it up! This is beautiful! Can’t wait to give it a try! If you take the class, let me know how it goes. Laverne: I know you are coming to CNCH in April in Oakland and your class is sold out. Will you be doing other classes or demos in N. Cal. 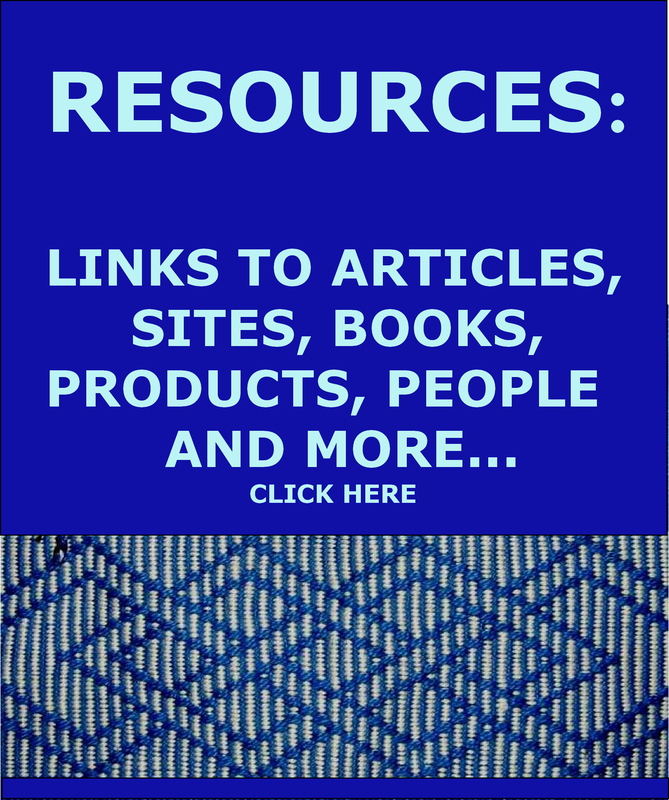 Love your website and all the info you have shared. Thanks for your comment. 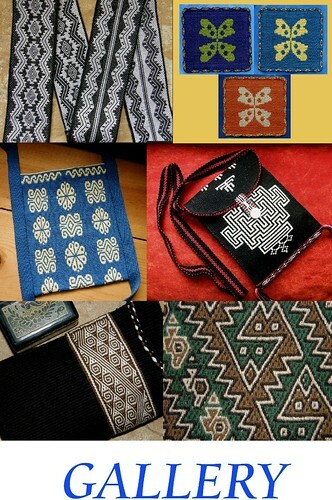 I will be doing another class in Nevada City but I need to check if they are sold out. I’ll let you know if there is room. Wondering if you ever get to Southern California? I would love to take a class from you. Thanks for your comment. You can look for smaller swords at the Etsy store of Magical Moons. Ignore the message that the store is closed and use her contact email to send her a request. Terri has told me that she will happily make swords for backstrap weavers in any size you like. Her work is excellent!